School team results shall be determined by the sum of finishing times of top TWO individuals in each team. Each member’s result will also be counted in the individual category. There is no limit on the number of teams entering from each school in each category. School team members’ entry form must be submitted together. Awards will be presented to the Top 3 finishers, if the number of entries in that category is 3- 30. Awards will be presented to the Top 4 finishers, if the number of entries in that category is 31 – 50. Awards will be presented to the Top 5 finishers, if the number of entries in that category is 51 or above. 3 medals will be presented to each of the Top 3 Teams in each category. The TriHK operates a “Non -refund Policy”. Once your entry is accepted, your entry fee is not refundable nor transferable. If an event has been cancelled due to inclement weather or other reason beyond the control of TriHK, the race will not be re-scheduled, and your entry fee will not be refunded nor can it be transferred. If Typhoon Signal No.8 or above is hoisted at any time from 12:00 noon on the day before race, the race will be cancelled without any rescheduling. If the Typhoon Signal No.3 / Amber Rainstorm/ Red Rainstorm/ Black Rainstorm/ Thunderstorm/Landslide warning be hoisted at any time after 5:00 on race morning, the race may be cancelled without any rescheduling. Should the above Inclement Weather / Condition Warnings be raised after the commencement of the race, the Race Director has the right to change the course distance or arrangement or to stop the race. If the race is stopped, the race will be either be cancelled or be adjusted. 香港三項鐵人總會(鐵人會)成立於1984年，是香港唯一統籌三項鐵人、陸上兩項鐵人、水陸兩項鐵人及其他同類型活動之法定機構。香港三項鐵人總會辦公室位於銅鑼灣奧運大樓，共有七名全職職員，負責日常總會事務，向執行委員會報告。 本會為亞洲三項鐵人協會（ASTC）及國際三項鐵人聯盟(ITU)之會員，該兩個組織分別負責於亞洲地區及世界各地處理鐵人運動事宜。同時，本會亦是中國香港體育協會暨奧林匹克委員會(SF &amp; OC)的屬會之一。 近年來香港三項鐵人運動員在國際比賽中成績有目共睹，已成為香港體育學院重點發展項目之一，本會亦同時接受香港體育學院、康樂文化事務署(康文署)及各商業機構的贊助。香港三項鐵人總會的角式與責任香港三項鐵人總會希望透過於香港發展及推廣三項鐵人及有關的活動，為各會員及香港體育學院所確認，並成為國際認可的體育組織之一。為此，香港三項鐵人總會訂立了六個使命如下︰鼓勵市民參與三項鐵人或有關體育活動；培訓三項鐵人及兩項鐵人精英運動員；提拔及培訓有潛質的年青三項鐵人及兩項鐵人運動員；為三項鐵人的訓練、賽事及有關技術提供有成效的發展方向；推廣三項鐵人及有關體育活動；有效管理鐵人會的財政、人力及技術資源以保障香港三項鐵人運動的持續發展。 Established in 1984, the Hong Kong Triathlon Association is the sole governing body in Hong Kong for triathlon, duathlon, aquathon and related multi-sport activities. The Association maintains an office in Olympic House, Causeway Bay and employs seven full-time staff, who are charged with carrying out its day to day affairs.We are a member of the Asian Triathlon Confederation and the International Triathlon Union, the governing bodies for the sport of triathlon in Asia and worldwide. We are affiliated to the Sports Federation &amp; Olympic Committee of Hong Kong, China.Triathlon is one of Hong Kong's Sixteen Focus Sports, a status which has been achieved as a result of the highly successful international performances of our triathletes in recent years. 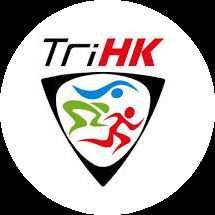 The Association enjoys generous support from the Hong Kong Sports Institute and Leisure &amp; Cultural Services Department, as well as various commercial sponsors.ROLE &amp; RESPONSIBILITIES of TriHKThe Association aims to be recognized, by its membership and the Hong Kong Sports Institution Limited, as a leading National Sports Association through its commitment to the development of triathlon and related multi-sport activities for the people of Hong Kong. To this end, its six-fold mission is to:Encourage widespread participation in triathlon and related multi-sport activities;Nurture a successful squad of elite triathletes and duathletes;Spot and foster the potential of younger triathletes and duathletes;Develop proficiency in coaching, race direction and associated technical aspects of triathlon;Promote public awareness of triathlon and related multi-sport activities;Secure a sound future, in terms of financial, human and technological resources, for the continued development of triathlon in Hong Kong.